Congratulations to our April Athlete of the Month, April 2018 - Eva Statler! It is our pleasure to announce that Eva Statler has been named Athlete of the Month for April 2018! Eva has been a part of the Hierarchy Ivy City community since May of last year. She always brings a great attitude to every class and is ready to put in work. Eva participated in her very first CrossFit Open this year and completely crushed it, highlighted by recording a PR Clean in 18.2A and achieving kipping pull-ups in 18.3! Her hard work, dedication, and improvements in the gym embody what we strive for at Hierarchy and we are thrilled to award her Athelet of the month for April 2018! Read on below for our interview with Eva to hear more about her story. Congrats Eva! I grew up in a small town in the Upper Peninsula of Michigan. I’m a first generation college graduate with my Masters in Clinical Psychology. I’m interested in body positivity, health and nutrition, and eating disorders. I truly believe kindness and compassion should be the cornerstone of all relationships. I got into lifting weights a few years before Crossfit, but found myself getting bored with my weekly routine and getting frustrated with super busy gym floors with no space for Olympic lifts and rules against dropping weights. From my Miami days, some good friends always raved about Crossfit, so eventually I had to try it! What were your thoughts after your first CrossFit workout? I can’t breathe. I’m so out of shape. My lungs are on fire. My arms are going to fall off. When can I do it again? What were your goals when joining CrossFit? To get stronger and perfect my form on Olympic lifts. Have you achieved any of those goals? Would I be athlete of the month if I hadn’t? Just kidding, I am constantly setting new goals and I love the feeling when I do finally achieve those goals. Absolutely. I am so lucky to be part of this wonderful community and have made some great friends. Weirdly, Crossfit comes up in lots of conversations these days with fellow Crossfitters, family, and friends. What does Crossfit Hierarchy mean to you? Crossfit Hierarchy is a place I look forward to each day. Somewhere I feel comfortable being uncomfortable, physically and mentally. And it’s somewhere I get to connect with myself and with friends. Do you have any other special memories/achievements during your time here? My first Crossfit Open has definitely been the most memorable and exciting part of this journey. What advice would you give to a newbie just joining CrossFit Hierarchy? Get to know everyone because each person has a lot to offer! And of course, stick with it, especially in the beginning when you’re learning new skills and it might be uncomfortable. But the results come, and you will appreciate putting in the hard work. 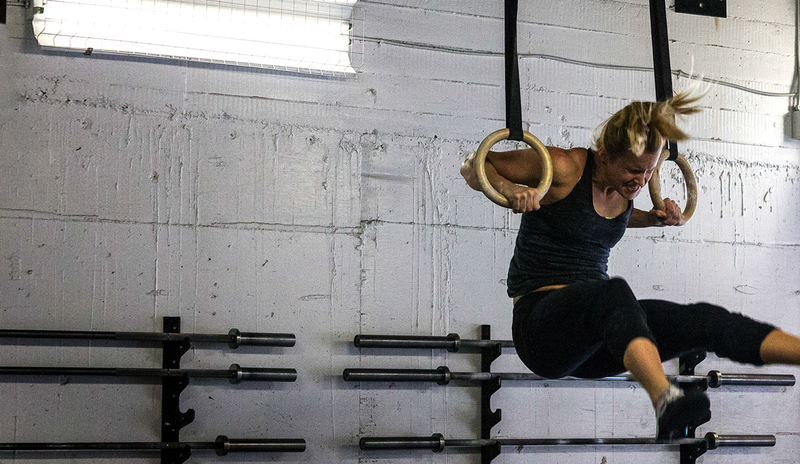 Favorite WOD (Girl, Hero, or just a type of workout)? My favorite place on earth is snorkeling in the ocean, and my dream vacation is to experience the Great Barrier Reef.